Tarek M. El-gohary, PhD, OCS, Cert. MDT. Background: The subjectivity of the evaluation process during clinical- practical exams constitutes a major subject of debate among students and candidates. There is a lack of self- explanatory, feasible but robust scoring rubrics that communicate the educational and scientific aspects of every subspecialty without sacrificing the specifics and particulars of every subspecialty. Objective: The main purpose of the current study is to create feasible but robust scoring rubric templates to help staff members and evaluators to reliably evaluate candidates’ and students’ performance during clinical- practical exams. 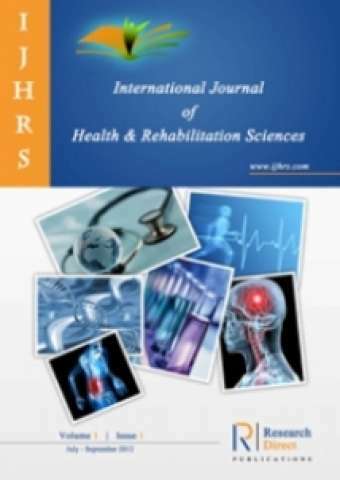 Methods& Materials: The expert in the field who is Dr. El- gohary launched a rigorous effort of searching reliable web sites, consulting individuals with thorough experience in the rehabilitation field and analyzing valuable sources. Dr. El- gohary created four different clinical- practical scoring rubrics that share the main theme of educational and scientific sections with having specifics tailored to address the particulars of every single subspecialty. The layout and design were consulted by a sample of individuals who enjoys strong experience in the field. Results: There was over 90% agreement among evaluators participated in the current study on the positive contribution of the newly created scoring rubrics to facilitate the evaluation of the students’ performance. Also, there was over 85% acceptance of the final score by students during the clinical- practical exams. Conclusions: It has been concluded that the newly created clinical- practical scoring rubrics are unique invaluable tools that would help evaluators to objectify the subjectivity and overcome uncertainties that has long been attached to the clinical- practical exams.